The pathogenesis of diabetic nephropathy remains poorly understood. Pozzi et al. studied how the diabetic milieu, specifically hyperglycemia and carbonyl stress, modifies the extracellular matrix and affects mesangial cell function. 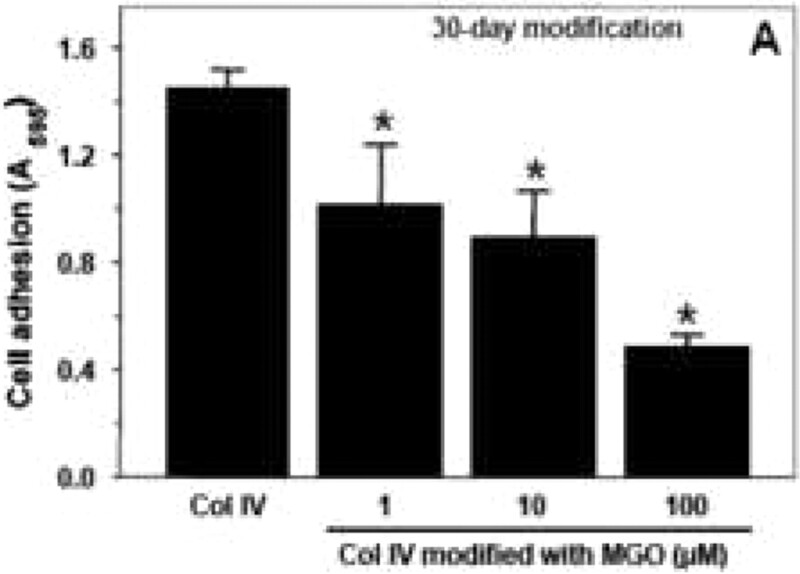 They demonstrate that mesangial cells plated on type IV collagen chemically modified by methylglyoxal, a carbonyl compound, exhibit reduced adhesion and migration. 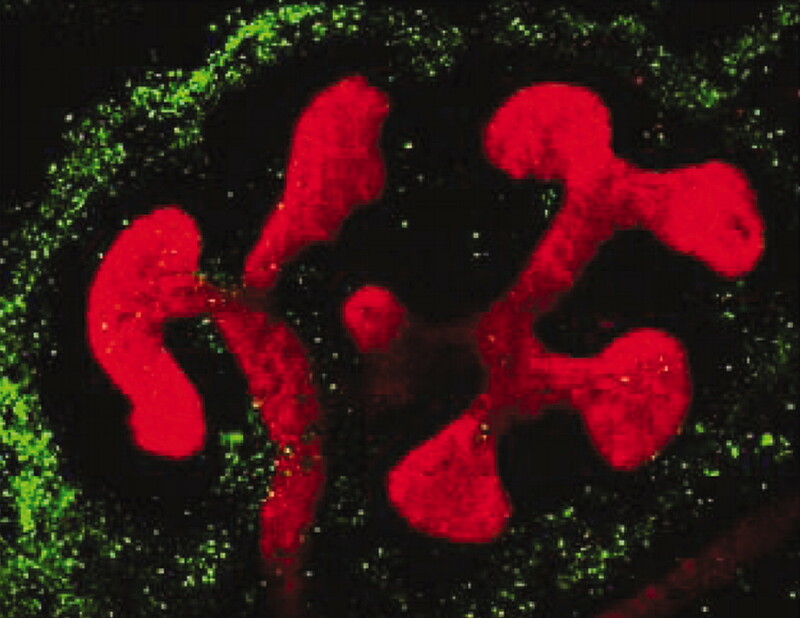 Cells plated on glucose-modified type IV collagen show increased collagen production and reduced proliferation and migration. These results suggest that chemical modifications of the extracellular matrix by the diabetic milieu may promote mesangial hypertrophy and matrix expansion. See Pozzi et al., pages 2119–2125. 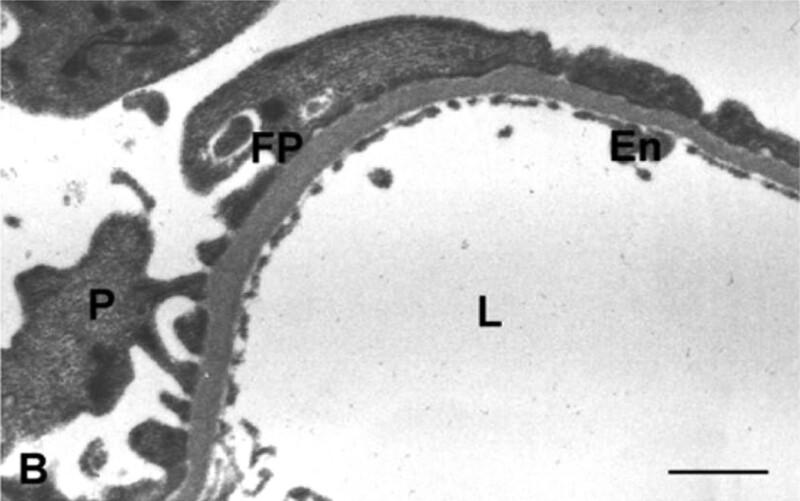 Early in kidney development, the ureteric bud and metanephric mesenchyme interact, leading to a remodeling of the extracellular matrix. Arnould et al. explored the role of matrix metalloprotease 9 (MMP9), which participates in this remodeling, in kidney development. MMP9-deficient mice demonstrate increased apoptosis, fewer nephrons, smaller kidneys, and impaired renal function. In organ culture, MMP9-deficient kidneys fail to secrete stem cell factor (SCF); exogenous addition of SCF partially rescues the disordered phenotype. These data suggest that MMP9 normally protects mesenchymal cells from apoptosis and stimulates branching morphogenesis of the ureteric bud during kidney development, most likely via secretion of SCF. See Arnould et al., pages 2171–2180. Podocyte-deficient mice die within weeks of birth and demonstrate mesangiolysis and mesangial sclerosis, histologic lesions that are not characteristic of human podocin mutations. In this issue, Mollet et al. report that conditional inactivation of podocin in adult mice recapitulates human disease: Progressive renal failure, albuminuria, hyperlipidemia, hypertension, and FSGS. In contrast, inactivation of podocin at birth—when kidney development is still ongoing—leads to a spectrum of lesions, including mesangial proliferation. These results not only provide insight into the complex biology of podocin but also describe a promising model of human disease. See Mollet et al., pages 2181–2189. Although the AVOID trial demonstrated that adding aliskiren to a regimen including the highest approved dosage of losartan and optimal antihypertensive therapy reduces albuminuria among patients with type 2 diabetes, hypertension, and albuminuria, the cost-effectiveness of this therapy is unknown. Delea et al. developed a Markov model that estimates the cost-effectiveness of aliskiren to be $30,500 per quality-adjusted life-year gained. These data suggest that adding aliskiren to losartan and optimal antihypertensive therapy may be cost-effective in this population from the perspective of the US health care system. See Delea et al., pages 2205–2213. Use of anticoagulation or antiplatelet agents associates with mortality among patients with ESRD, but it is unknown whether the benefit exceeds risk in certain subpopulations. Chan et al. 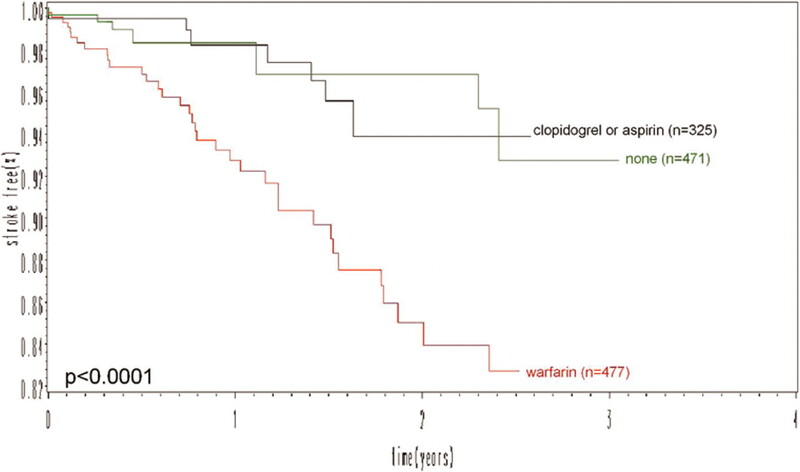 retrospectively analyzed a cohort of nearly 1700 incident hemodialysis patients with atrial fibrillation and found that warfarin associates with a nearly doubled risk for stroke. Patients who do not receive INR monitoring during the first 90 d of dialysis are at even higher risk. Although definitive conclusions cannot be drawn from a retrospective study, these results raise concern about routine anticoagulation of patients with ESRD, even when comorbidities such as atrial fibrillation are present. See Chan et al., pages 2223–2233. Patients who have experienced a kidney stone often seek to minimize the risk for future stones by any possible means. Taylor et al. prospectively studied >240,000 participants in the Health Professionals Follow-up Study and the Nurses' Health Studies I and II to test the association between a DASH-style diet and incident nephrolithiasis. They found that adherence to a diet high in fruits and vegetables, moderate in low-fat dairy, and low in animal protein was associated with a 40 to 50% reduction in risk for kidney stones. Although randomized, controlled trials are necessary to compare dietary modification with pharmacologic therapy, these data provide additional support for the health benefits of the DASH diet. See Taylor et al., pages 2253–2259.